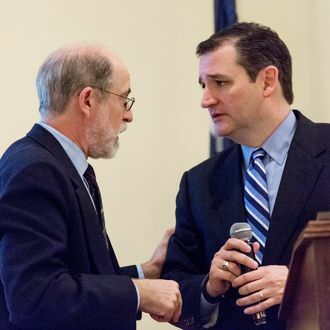 Frank Gaffney and Ted Cruz. 1. Saddam Hussein was behind the Oklahoma City bombing. 2. Obama incorporated the Islamic crescent into the logo of a new missile-defense group. 3. By appointing a Muslim-American to New Jersey’s state judiciary, Chris Christie may be complicit in treason. 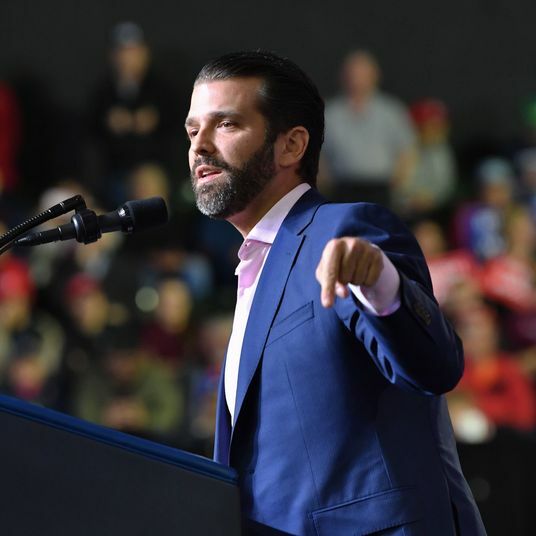 Gaffney isn’t merely a disseminator of conspiracy theories; he’s also a disseminator of methodologically flawed studies, including a poll that Donald Trump has used to justify his Muslim ban.